Posted in: Niall Clarke, Sydney, WTA. Tagged: 2015 Apia International Sydney, 2015 WTA, 2015 WTA Sydney, 2015 WTA Sydney Preview, 2015 WTA Tour, Aga Radwanska, Alize Cornet, andrea petkovic, angelique kerber, apia international, Apia International WTA, Australian Open Series, Carla Suarez Navarro, Ekaterina Makarova, Elina Svitolina, Emirates Australian Open Series, Kerber, LUCIE SAFAROVA, radwanska, Sam Stosur, Sydney Tennis, Womens Tennis, wta, WTA Apia Interational, WTA Prediction, WTA Preview, WTA Sydney, WTA Sydney 2015, WTA Tour, WTA Tour 2015. The WTA continues its tour down under with a trip to the beautiful city of Sydney for the APIA International tournament. The event is one of the oldest in the world, dating back to 1885. In 2000, the event moved to the Sydney Olympic park tennis centre, which also hosted the Olympic tennis event that year. The Sydney International is a joint event with the ATP hosted a week before the Australian Open. 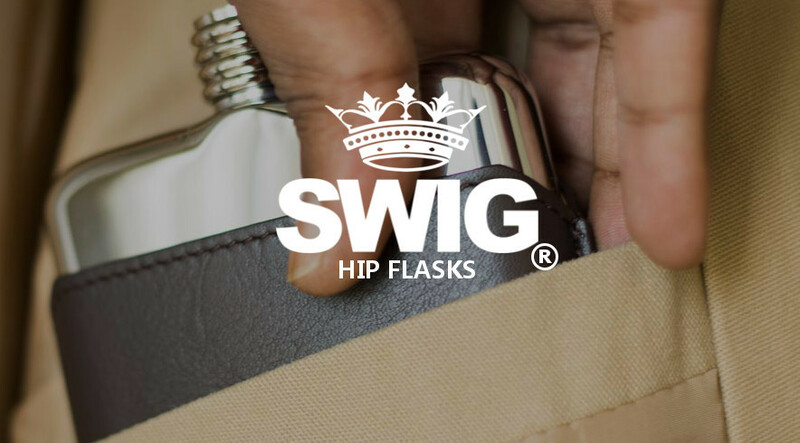 Previous champions include the likes of Victoria Azarenka, Aga Radwanska and Grand Slam champions Chris Evert, Kim Clijsters, Martina Hingis, Justine Henin, and Martina Navratilova. In 2014 Tsvetana Pironkova defeated Angelique Kerber in straight sets to claim the Sydney crown. The Qualifier also defeated seeds, Sara Errani and Petra Kvitova on her way to the title. Two top 4 players headline Sydney, and receive byes to the next round. All the 8 seeds are within the top 20, so a strong field in the build up to the Australian Open. These two met in Perth during the Hopman cup, and it was Alize Cornet who managed get the win on that occasion in 3 sets. The Frenchwomen will be looking to do the same in the first round at Sydney. Agnieszka Radwanska however will be looking for revenge, and with that in mind this is one of the tastiest first round matches this week. Both players are known more for their technique rather than power, so we may see plenty of long rallies and tense points. Will we see another upset, or will Aga reign supreme this time? Big hitting Czech Lucie Safarova will be looking to silence the home crowd by vanquishing Australia’s Sam Stosur. Safarova played well in the Hopman Cup, winning two out of three singles matches. Stosur didn’t kick off the year in good style as she lost in 3 sets to Varvara Lepchenko in Brisbane round 1. It’s even worse when you consider, Stosur led 5-1 in the final set and still managed to lose. A lot of fans may be looking at this, and thinking ‘How could this be a match to look out for with their head to head record?’ Of course, 9-2 in favour of the Czech is lopsided, but you never know in the WTA. Lucie is hot right now and the obvious favourite, but you never know what a home crowd can do for a player. Stosur could rally and get her first win over the Czech in nearly 3 years. 20 year old, Elina Svitolina will be looking to carry her Brisbane form into Sydney, where she faces new top 10 player Ekaterina Makarova in the first round. The Ukrainian made the quarter finals last week, but was dumped out by eventual winner Maria Sharapova. Makarova decided to have an extra week’s preparation, and will kick off her 2015 campaign in Sydney. Svitolina is a good mover across the court, which will benefit her against the powerful left handers of the Russian. Makarova will look to overpower the youngster and kick off 2015 the same way she finished 2014. The big question is how rusty will Makarova be? If she isn’t match ready, she could very well get caught off guard by the young Ukrainian. Number one seed Simona Halep headlines a stacked top half of the draw that features eight top 20 players and a former Grand Slam finalist. The Romanian will receive a bye into the second round because of her seeding. She will face either big serving Czech Karolina Pliskova or a qualifier in round two. Pliskova will be the likely opponent even with the dangerous qualifiers in the draw. This is where it will get interesting for Halep, who has a bit of a dilemma. The Romanian won in Shenzen last week, and with the Australian Open coming, will she want to risk not being 100% for the first grand slam of the year and go all out in Sydney? Look for a potential upset in that one. The other seed in Halep’s quarter is Ekaterina Makarova. The Russian will play her first match of the season against 20 year old Elina Svitolina. With Makarova being potentially rusty, she could get caught out by the inform Ukranian, but the number six seed will be favourite to advance. Awaiting the winner will be Carla Suarez Navarro, and 2013 Wimbledon finalist Sabine Lisicki. Lisicki has shown in the past she can beat anyone with her powerful serve and ground strokes. The German holds the world record for the fastest womens serve in history. She hit a 131 mph serve in Stanford last year. This isn’t grass however, and the Spaniard should expect herself to advance. The third seed is 2015 Hopman cup champion, Agnieszka Radwanska. The Pole will be in her first WTA competition In Sydney, and faces a tough round one match against Alize Cornet. The Pole will expect herself to extract revenge on the player who defeated her in Perth, but an upset wouldn’t be surprising at all. Their potential round two opponents are Garbine Muguruza and Sara Errani. Muguruza is dangerous, but withdrew from Brisbane with an ankle injury, so there are big questions on her fitness. Errani will be looking to take advantage of the Spaniards problem and take out the 21 year old. If Muguruza is fit however, you would expect her to overpower the Italian. Angelique Kerber is the number five seed and will face a qualifier in round one; a match you would expect her to win. From there you would expect her to face highly touted youngster Belinda Bencic. The 17 year old is destined to be one of the world’s best players, but she faces a tough test against Angelique Kerber. This potential second round clash is no doubt one of the most anticipated matches of week. How will the youngster handle the tests that Kerber will bring to the court? The number two seed is Czech powerhouse Petra Kvitova. Like Halep, Kvitova will receive a bye into the second round. She will face Shuai Peng, or Anastasia Pavlyuchenkova. You would expect the Wimbledon champion to make the quarter finals with that draw if she decides to be play hundred percent. The other seed in her quarter is Dominika Cibulkova. The Australian open drew lucky and will face a qualifier in the first round, so you would expect her to make the second round at least. She will likely face Andrea Petkovic in the second round, which will no doubt be tricky for the number seven seed. The winner of that match will really fancy themselves to make the semi-finals, with Kvitova’s commitment in question, with the Australian Open just round the corner. With a lot of the top seeds potentially playing safe with the Australian Open in mind, these 4 players will stand out from the rest of the pack and make the semifinals. In the first semifinal, Kerber will narrowly defeat Carla Suarez Navarro in 3 sets. This match will be tight, as they are 2-2 in the head to head, but Kerber I believe will find a way to win. In the second semi final, I expect Lucie Safarova to continue her good form and defeat Andrea Petkovic to make the final. The Czech will be 100% focused here, with the title being a big possibility., and I think she’ll better the German this time around despite the head to head being 4-2 in favour of Petkovic. Angelique Kerber will be the 2015 Sydney champion after weathering the Safarova storm. In this final, I expect the Czech to make the better start and race to an easy one set lead. The German will keep retrieving and errors will finally start leaking from Safarova’s side of the court, allowing Kerber to turn the match on it’s head and win the title in Sydney. Posted in: ATP, Sydney. Tagged: 2014, apia international, atp, australian open, mens, picks, predictions, preview, sydney, tennis. The final ATP tournaments before the AO are 250s on hard courts in Sydney and Auckland. Here is your Sydney preview. There’s also the major Kooyong Classic exhibition going on next week, which attracts many top players. Just one top 20 player for this event, as many to players prefer to skip tournament matches the week before a slam. Sydney will be the only tune-ups for Del Po and Janowicz before the AO. Sydney is a joint WTA event. Pospisil reached the semis in Chennai, albeit facing weaker competition, and his form looks good. However he retired in the second set of his semifinal match with a sore back, and his health status for this event is probably in doubt. Querrey returned to tournament action by taking care of Dmitry Tursunov in Brisbane before falling to Marinko Matosevic in 3 sets. Querrey won their only meeting 2 years ago, but the match was close and played on grass. 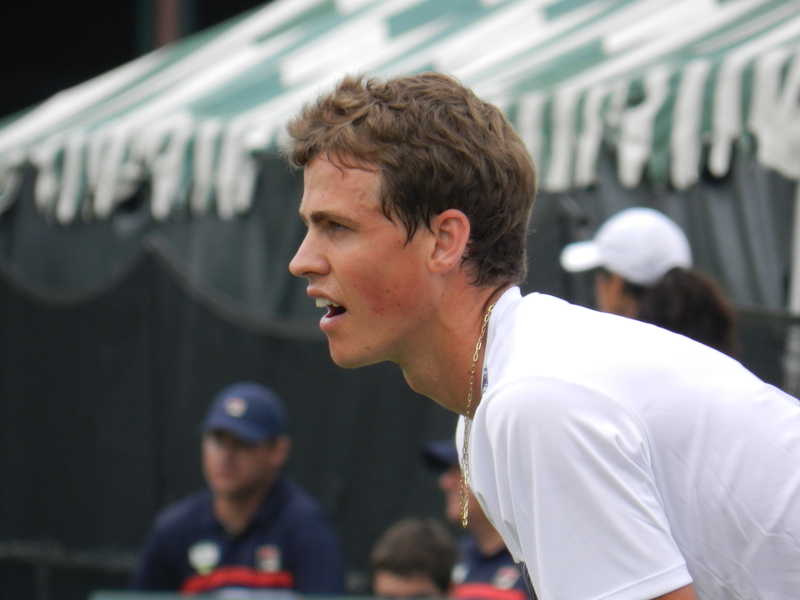 With Pospisil’s health in doubt, if he doesn’t withdraw, I expect Querrey to pull through. Two intriguing players coming off first round losses in their first tournaments of the year. Sousa was routined by Victor Hanescu in a match in which he was the favorite, while Rosol was relatively pedestrian against Rafael Nadal. They both have prowess on hard courts and could use some Mojo going into Melbourne. This is the first meeting between the pair. Surprising Doha semifinalist Florian Mayer played some great tennis in his upset of Andy Murray, along with two other match wins, while Matosevic finally got a win on home soil in Australia. In fact, he got two of them, reaching the quarterfinals in Brisbane after two matches that went the distance. Mayer beat Matosevic twice on clay last year, while Matosevic got a win indoors in 2012. So really, the head to head is up in the air. Both players looked relatively worn down in their most recent matches–losing 3 and 2 and 1 and 1. Thus, recovery will be a big deal and we will have to see which player can keep his relatively good form going. Marcel Granollers comes off the semis in Chennai, his best win being an upset of Benoit Paire in the quarters, while Bernard Tomic went 2-1 in the Hopman Cup singles and his form looks acceptable. This is their first head to head meeting, and with Tomic being the defending champion here, a lot of pressure is on him, especially ranking points wise. Alex Dolgopolov showed flashes of quality, but still exhibited inconsistent play in his 3 set loss to David Ferrer in Doha. The Ukrainian speedster is now working with the flashy Fabrice Santoro as his coach, and he will face current Chennai finalist Edouard Roger-Vasselin, and he is winless in three tries against ERV. I have a feeling Dolgo can grab a win—if his form continues to be solid and Roger-Vasselin is tired after playing so much tennis in Chennai. Juan Martin Del Potro will play his only AO warm up tournament in Sydney. First up for Delpo is Nicolas Mahut or a qualifier, and most likely Querrey in the quarters in what would be an interesting match. Sam needs to beat Pospisil, of course, and then Radek Stepanek/Sam Groth. Groth, with his powerful serve could also sneak into another quarterfinal as he did in Brisbane. Dmitry Tursunov, coming off that round 1 loss to Querrey in Brisbane, will face Rosol/Sousa in what could be a very competitive second round encounter. The winner should be expected to face Brisbane quarterfinalist Marin Cilic, who looks to be shaking off the rust and opens with a qualifier, befofre Denis Istomin or Pablo Andujar. Jerzy Janowicz will make his 2014 debut against Dolgopolov/Roger-Vasselin and I think Dolgo has the potential to trouble him but probably not ERV. The winner will get one of Granollers/Tomic, Jarkko Nieminen/Qualifier in the quarters. Nieminen has historically played well in Sydney as he is a former champion, while Tomic is the defending champion, making this an interesting section. Andreas Seppi will face Mayer/Matosevic in his first match, coming off of the Hopman cup, and that match has plenty of upset potential. The winner will face one of Julien Benneteau/Matt Ebden/Carlos Berlocq/Qualifier in the quarters. Benneteau is a former finalist in Sydney and this section is very open. 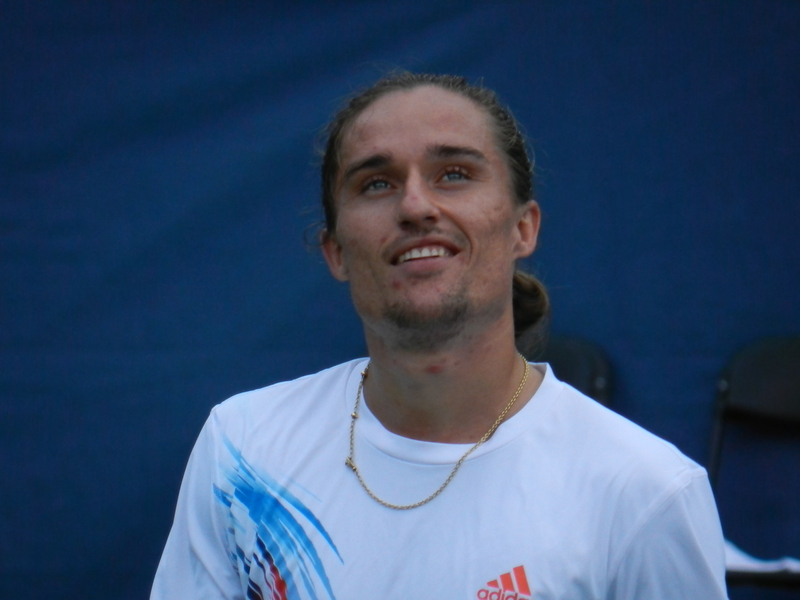 Dolgopolov is one of the most incredibly difficult players to predict. When he is on, he can play top 10 level, and when he is off, there are challenger players who would routine him. If his form is at least somewhat on, and he gets past a tired ERV, the meeting with Janowicz looks to be a must watch. It would be their first. If Dolgo can upset JJ I expect Tomic/Nieminen to be waiting the quarters, a winnable match. That would be followed by a semi against anyone in the section above is and is highly winnable (Seppi/Matosevic etc.). That would allow Dolgo a chance at reaching the final with good play. Del Po should be able to beat Querrey and find his way to the final. Cilic has beaten him twice in his career, both on hard courts, but JMDP has won a vast majority of the h2h meetings. And you have to wonder if Cilic is at full fitness yet. JJ should be able to make his way to the final as well, and I’ll go with Matosevic out of that other toss-up section, figuring the Aussie is in good form and not overly fatigued. It would be their first meeting, and JMDP seems to be the better player right now, so I will go with him to win it. The last tune-ups before the Aussie Open will take place this upcoming week as players seek to get in shape for good showings in Melbourne. Beyond the two ATP tour events this week, some of the top players will be taking part in a popular exhibition in Melbourne called the Kooyong classic. A preview of Kooyong will come later. The Sydney field was weakened by withdrawals from Jo-Wilfried Tsonga and Doha champion Richard Gasquet, but provides a great opportunity for someone to grab themselves an ATP title. *Isner had to withdraw from the Hopman Cup earlier this week with ongoing knee tendonitis, and though he is officially entered in the Sydney draw, he may still withdraw from the event. The rising Slovenian Bedene made good on his dark horse designation in Chennai, making the semi finals after wins over seeded players Robin Haase and Stanislas Wawrinka.In the semis, he fell to Janko Tipsarevic but did push him to 3 sets in the process. Anderson did pretty well at the Hopman Cup and seems to be playing better in 2013 than he did in 2012, winning matches over Fernando Verdasco and a slightly injured but still competitive John Isner. Anderson relies on his big serve to push most every set to a tiebreak but struggles to break serve, while Bedene is a heavy hitter himself. It should be a fun and long match. The grinding Marcel Granollers will start his 2013 campaign against Matt Ebden, who lost in the 1st round of Brisbane to David Goffin. Granollers is ranked higher but does not play his best on hard courts and Ebden will have a chance at an upset based off surface. Veteran Spaniard Tommy Robredo continues to grind his way around the ATP tour as he seeks to break back into the top 100, coming back from injury. He did manage to grab a win over Ryan Harrison in the first round of Brisbane but still does not seem to be back in full form. Millman is a talented young player who was mentioned in my previous editorial. He beat Tatsuma Ito in Brisbane, then managed to give Andy Murray a run for his money, pushing the match to 3 sets in a surprise performance. This is a battle of the old vs. the new and could go either way. As I noted previously, top seed Isner is questionable in terms of still playing Sydney and if he does opt to play, you cannot be sure what type of shape he will be in, as he lost both his Hopman Cup singles matches to Anderson and Tsonga before withdrawing before the third match. If he withdraws, I would assume a lucky loser from qualifying would replace him. That being said, if he does opt to play he could get a tough opening match against surprise current Chennai finalist Roberto Bautista-Agut, then the winner of that match could face 6 seed Radek Stepanek (who withdrew before his 1st round match in Brisbane with an eye infection), a qualifier, Pablo Andujar or most likely Julien Benneteau. A healthy Isner should be able to get through that, but if he is not in good shape or withdraws, it is a very wide open top of the draw. Fernando Verdasco, who seems to be struggling a bit in losing all 3 of his competitive Hopman cup singles matches to Tsonga, Anderson, and in the final to Djokovic, opens with the winner of wild card James Duckworth vs. Brisbane quarterfinalist Denis Istomin. The winner of that match could face the winner of Bedene/Anderson, Feliciano Lopez (who lost in the 1st round of Doha to Lukasz Kubot) or Jeremy Chardy. Another very open part of the draw. Brisbane quarterfinalist Gilles Simon opens with defending champion Jarkko Nieminen or a qualifier, then could face 5 seed Florian Mayer, a qualifier, Marinko Matosevic, or most likely Bernard Tomic. Bernie shocked most everyone in winning all 3 of his singles matches at the Hopman cup over Tommy Haas, Andreas Seppi, and most surprisingly Novak Djokovic. If Tomic continues to make good on his talent and meets Simon in the quarters, it could be a blockbuster battle. The forementioned Seppi, who lost all three of his Hopman cup singles matches and will look to do better here, opens with the winner of Millman/Robredo. He could face the Granollers/Ebden winner, countryman Fabio Fognini, or most likely current surprise Brisbane finalist Grigor Dimitrov, the youngest player in the top 50, who opens with Fognini. I picked four dark horses this week, contingent on the winners in their matchups, because the Sydney draw is simply so open. Istomin seems to be playing well and should have an edge over the seed Verdasco. Meanwhile, if Bedene can get past Anderson and beat another big server in Chardy, he would set up a match with Istomin and the winner of that has a great shot at the final. Depending on Isner, they could play Benneteau, Stepanek or even Bautista-Agut if he keeps his form in the semis. Tomic on the other hand, seemed to finally make use of his talent at the Hopman Cup, and if he keeps that going should be able to get past Mayer, Simon or Nieminen and set up possibly a semi with Dimitrov, who is also playing up to his talent level this week and that could be a really great match between a couple of young guns who many think will be the next stars of tennis. Dimitrov should have the edge over Fognini, Granollers/Ebden and Seppi. In semis between four rising players, Bedene should be a bit fresher than Bautista-Agut, and Tomic should have a home crowd advantage in addition to being fresher. If Tomic can keep himself together, Sydney is his oyster. New Zealand’s only ATP World Tour event features an interesting and eclectic field of talent. Young gun Goffin lost to Jurgen Melzer in the 2ndround of Brisbane and will take on Bellucci, who is looking to break back into the top 30. It is an intriguing matchup style and form wise that could go either way. Two of the feel good stories of 2012 will battle in the 1stround of Auckland, as the inspiring American Baker will take on the freshly minted top 30 player Janowicz. The Pole follows up his stellar 2012 and his amazing finals run in the Paris masters as a qualifier at the end of 2012 with hopes for a solid 2013. Depending on the form of both players, this match could go either way, and Janowicz especially will be interesting to watch in regard to his mindset and skill improvements over the past year. Doha semifinalist and defending champ David Ferrer opens with the winner of Chennai semifinalist Benoit Paire, who scored a win over Marin Cilic there, vs. Yen-Hsun Lu. Ferrer then could face the winner of Bellucci/Goffin, Paolo Lorenzi, or Doha quarterfinalist Lukas Lacko. Tommy Haas, who won just one of his three singles matches at the Hopman Cup (beat Seppi but lost to Djokovic and Tomic) opens with Robin Haase or a qualifier and then could face Brisbane quarterfinalist Jurgen Melzer or Doha quarterfinalist Gael Monfils. Both Melzer and Monfils open with qualifiers. A Haas vs. Melzer or Monfils quarterfinal match up could be must see tennis for the old timers, as all three guys are veteran players. Phillip Kohlschreiber opens with the winner of Alejandro Falla vs. Grega Zemlja and the winner of that could face 7 seed Martin Klizan, who plays Xaiver Malisse in the opening round or Chennai quarterfinalist Go Soeda, who opens against Santiago Giraldo. Sam Querrey, the second ranked American on tour, opens with either Albert Ramos or last year’s Auckland finalist Olivier Rochus, a veteran wild card. Querrey would meet the winner of Baker/Janowicz, in what could either be an all American battle or a battle lanky big servers. A qualifier or New Zealand wild card player Daniel King-Turner, who can hit some nifty shots are also options. 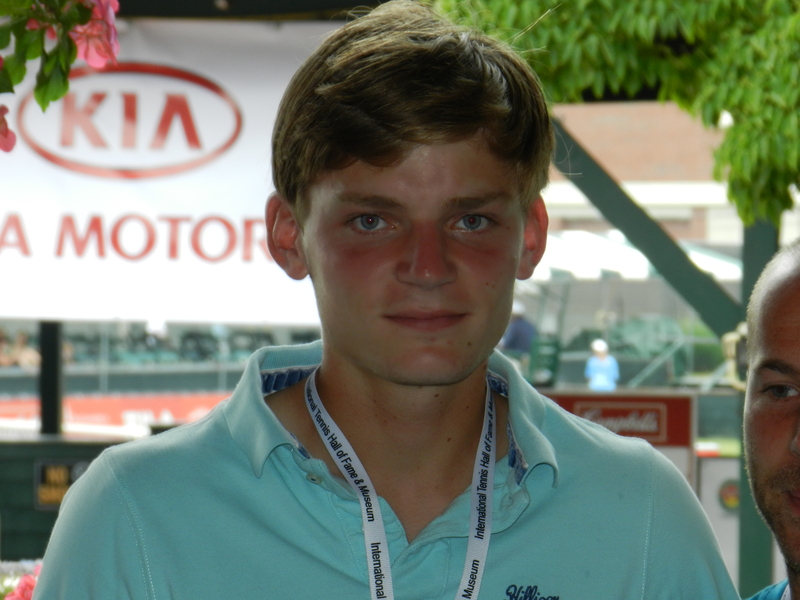 Zemlja is another guy close to breaking into the top 50 and beyond after a long while toiling at the challenger level. He has a great chance to do it in Auckland. In Doha, he did well to beat Fabio Fognini and nearly knock off eventual champion Gasquet before losing in 3 sets. If he can get the win against Falla, he will get a still slumping Kohlschreiber followed by fellow rising player Klizan or more likely the consistent but not dynamic Soeda for a shot at the semis. After that, a semi-final match up with Querrey or Janowicz is certainly winnable. Ferrer should prove too much for Melzer and Querrey should be able to nip Zemlja. Ferrer should not face too much opposition to repeating in Auckland, but then again we said that about Doha and Querrey is certainly capable of taking the title.